Diagnostic medical sonographers are specially trained to use imaging equipment that directs sound waves into the body of a patient to perform a common procedure known as an ultrasound or sonogram. The high-frequency sound waves of the ultrasound are able to create visual images of internal organs so that the professional can evaluate or diagnose many different health conditions. 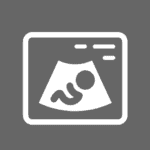 Diagnostic medical sonographers specialize in certain parts of the body, such as the abdominals, breasts, neurological system, or musculoskeletal system. Specialized ultrasound technicians in obstetric and gynecology sonography also perform a multitude of imaging procedures during routine pregnancy visits to measure the growing fetus as well. The following is a guide to a rewarding healthcare career in ultrasound technology. In order to begin a career as a diagnostic medical sonographer, individuals need to achieve formal education training. Colleges and universities offer both associate’s and bachelor’s degree options to students interested in sonography. Employers in the field usually prefer job applicants to possess a degree from an accredited institute, since these programs are required to follow a specific curriculum and clinical training guidelines. It is highly recommended obtaining professional certification in the field to increase marketability to future employers. Some states also require that ultrasound professionals are licensed to legally practice in the career. For achieving certification through the American Registry of Diagnostic Medical Sonographers, individuals need to pass an examination related to their specialty. Becoming certified demonstrates a high level of skill and knowledge. According to the United States Bureau of Labor Statistics, the median annual salary is $64,380. While the lowest ten percent earned less than $44,900, the top ten percent earned more than $88,490. In outpatient care centers they make a median salary of $69,740, which is slightly more than those in hospitals and physician offices. Technicians in medical and diagnostic laboratories earn a median salary of $62,290, or slightly less than those in a state, local, or private hospitals. Employment in the diagnostic medical sonography field is predicted to grow by 44 percent between 2010 and 2020, according to the US Bureau of Labor Statistics. As the ultrasound imagining technology is steadily evolving, it is expected to replace more invasive and costly medical procedures in the future. Therefore, the profession is predicted to grow much faster than the average for all other occupations. There are currently 53,700 positions nationwide, but there is projected to be 77,100 jobs in 2020. They prepare patients for the medical procedure by recording their history and answering all inquiries about the ultrasound. They apply gel to assist with the capability for the sound waves to create images of the inside of the patient’s body. Sonographers control the specialized equipment in order to gain accurate diagnostic images for them to analyze. They need to recognize the difference between normal and abnormal internal images to assess the patient’s condition. They carefully examine all images to provide records of preliminary findings for physicians.